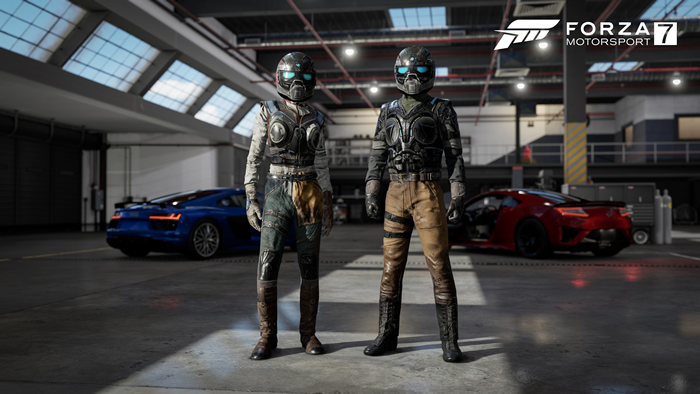 To celebrate the series passing an 11-year anniversary milestone, Gears of War 4 is invading Forza Motorsport 7 in the form of custom racing suits. If you played Gears of War 4 on Xbox One or Windows 10 before October 31, Turn 10 is giving you a free Gears of War 4-themed Driver Gear suit (pictured below) in Forza Motorsport 7. Those who are eligible will receive an Xbox Live message containing a code to download the suit. Messages will begin to go out on November 20 and may take up to two weeks to receive. Luckily if you didn’t manage to play Gears of War 4 before October 31, you still have another chance to get this outfit. Fans who try out the free trial and play before December 31 become eligible to receive a code in mid-January. Another pair of racing suits making their way to Forza Motorsport 7 are based on JD and Kait (top image). To acquire these suits, you’ll need to brush up on your racing skills. Two new events go live today in Forza 7’s Rivals mode. If you complete them then you will receive the suits after the eligibility window closes on November 26. Our friends at Forza have recently released their Xbox One X Enhanced Update – and it’s a stunner. Racing around Dubai in 4K HDR for the first time blew us away, even if our Gears skills don’t translate to QUITE as much online success (bouncing off surfaces is apparently bad form in Forza!). Whether you’re showcasing the power of your Xbox One X / Gaming PC to your friends or simply enjoying two great games on your Xbox One, you can now show your Gears fandom in both games. 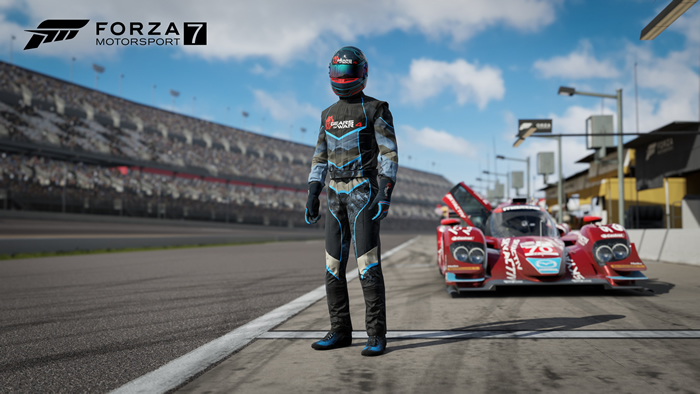 We’re excited to share that we’ve teamed up with Turn 10 to release some special Gears of War themed race suits in Forza Motorsport 7! Turn 10 are giving anyone who’s played Gears of War 4 on Xbox One or Windows 10 before October 31st a free Gears of War 4-themed Driver Gear suit to use in Forza Motorsport 7! Eligible players will receive a code to download the suit via an Xbox Live Message on Xbox or Windows beginning on November 20. It may take up to 2 weeks to receive your code. If you have yet to play Gears of War 4, jump in via our Free Trial and play before December 31, 2017 to become eligible to receive a code for the suit beginning in mid-January. These Driver Gear suits take the iconic COG Soldier Helmet and mash them together with outfits based on JD and Kait’s look in Gears of War 4. These are going straight to the top our favorite Driver Gear suits list in Forza 7 (we may be slightly biased). Thanks again to our friends at Turn 10 for bringing Gears onto the track. Whether we’re duking it out on the track or the battlefield – we’ll see you online.